1. 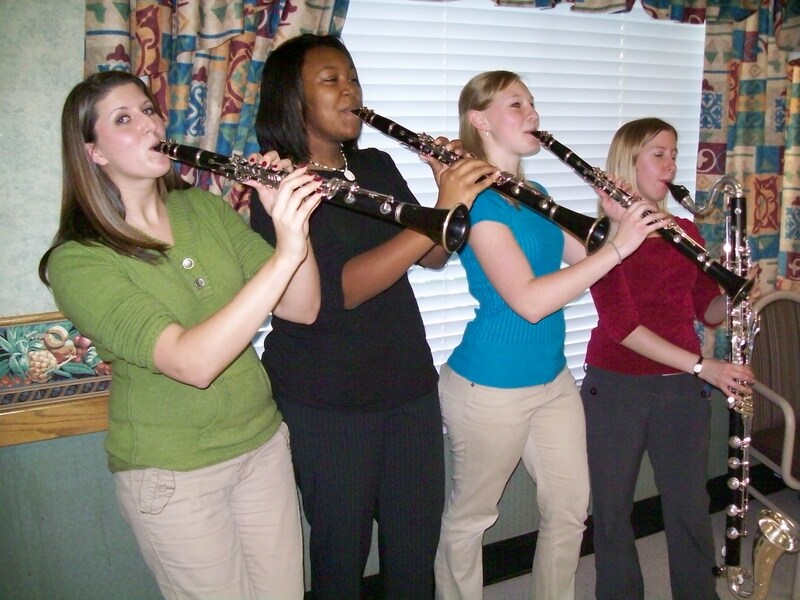 To provide experience in small instrumental ensembles. 2. To foster communication skills in public performance, master classes, school, and recital venues. 3. To evoke critical thinking and independent reasoning regarding choice of literature, rehearsals and communication ideas. 4. To encourage personal development, self confidence and responsibility for decisions and results. 5. To emphasize performance aspects as related to large ensemble participation, in particular those aspects of music regarding intonation, ensemble pulse and listening, solo vs. accompanying dynamics, and articulation. ensembles are relaxed and fun and are a great showcase for some of our best student talent. Come join one of our groups and see how nice playing chamber music can be!